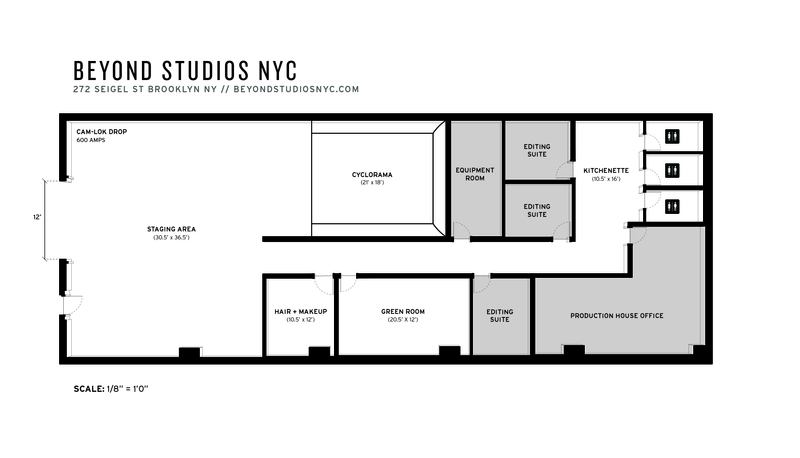 Beyond Studios NYC is a film & photo production space located in Brooklyn, New York. Situated in a 4,000 sq. ft. ground floor warehouse, the studio is comprised of a U-shaped cyclorama with a 1,500 sq. ft. staging area. Numerous skylights & a large industrial window provide ample light for daylight shooting along with a dedicated hair & makeup space, a green room, and 3 full bathrooms. The main shooting space, staging area & Green Room feature a fully integrated Sonos Wireless Speaker System. 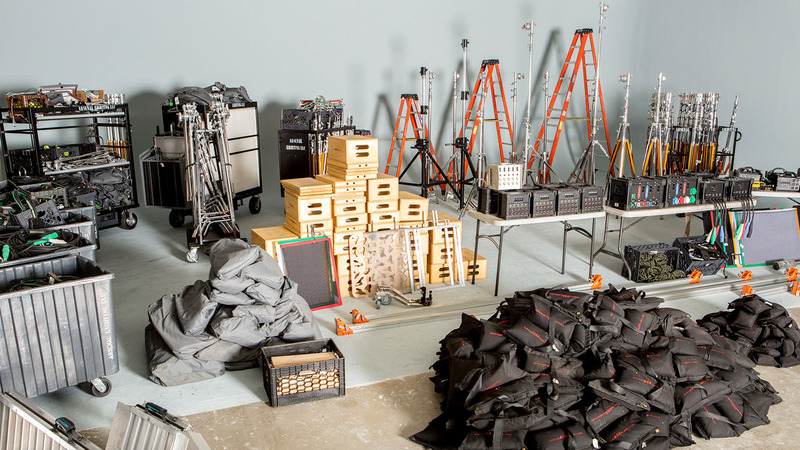 Rent film, photo, video, camera, grip & lighting gear from our equipment rental house. All equipment must be reserved in advance. In addition to being a fully stocked grip house, we also have many lighting options including tungsten, HMI, Kino, LED, and Profoto units. Photo or video camera packages are available as well. 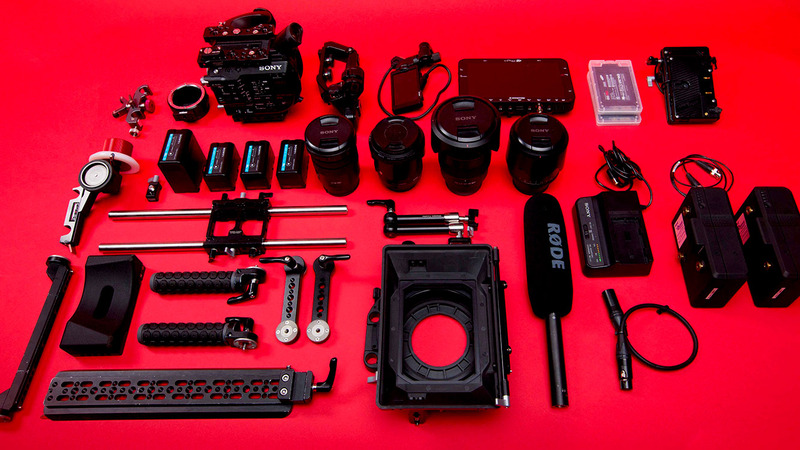 We stock Arri, Mole-Richardson, Alexa, RED, Canon and many other brands. We can also provide 3 ton to 10 ton grip trucks with a driver or swing. We also carry expendables, gels and production equipment of all shapes and sizes including steamers, garment racks, HMU stations, tables & chairs. We also have Matthews and Fisher dolly rental, specialty items like Briese lights, and can source any rare items we don't have for you and deliver them to your location or have them waiting on set for you. Enjoy access to 4,000 sq ft of space including a dedicated Hair & Makeup space and comfortable Green Room. 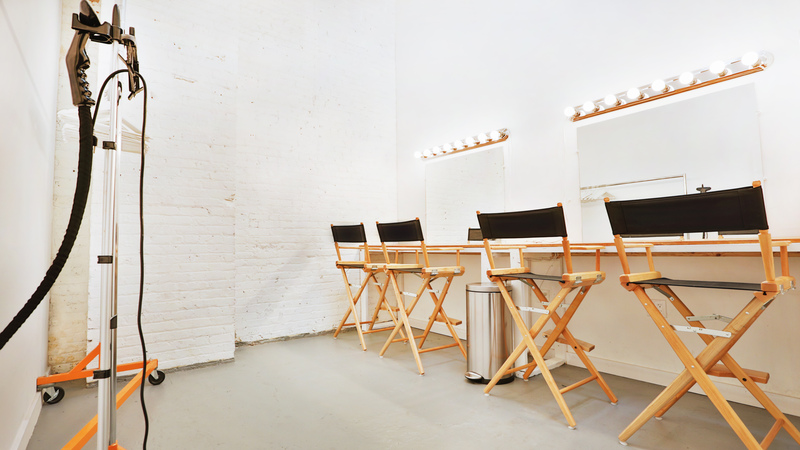 The Hair & Makeup room is equipped with two full vanity mirrors, a steamer, and garment rack. 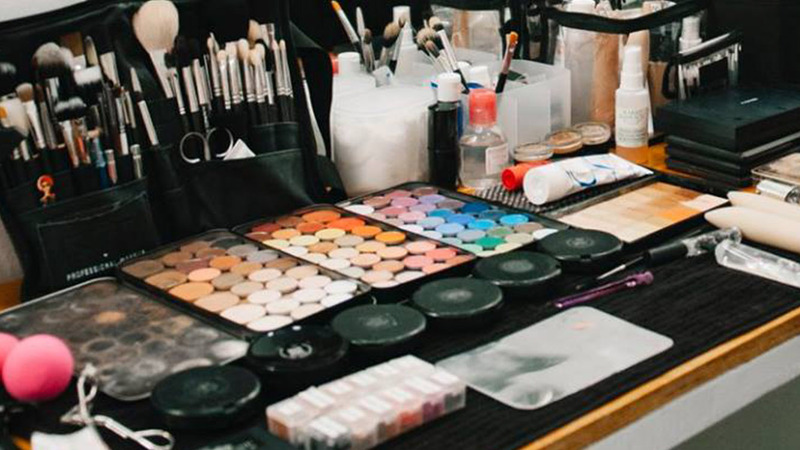 The space provides an ideal setting for hair & makeup artists on both large & small productions. Our Green Room provides a moment away from the madness of set. Bring your clients aside for a quick meeting, have a breakout session with your team, or provide your talent a comfortable place to relax while not on camera. The Green Room provides you basic necessities: mini-fridge, printer, stationary supplies, a comfortable work desk and it's own dedicated Sonos Wireless Speaker System. Beyond Studios's 18' x 25' U-shaped cyclorama can be painted to provide a green screen stage with pre-lighting packages available. For smaller shoots we can rig any size green screen rag for you. 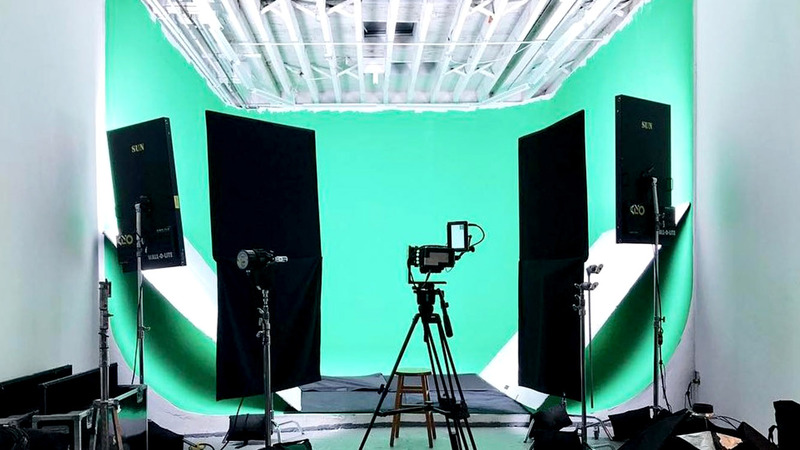 We are home to many production companies, agencies, directors and producers and have hosted green screen shoots for interviews, commercials, webisodes, TV shows, feature films and music videos. Private use of the studio for 10 hours. Private use of the studio for 4 hours. Our multi-faceted team of filmmakers, photographers, designers, and audio engineers are available for both in-studio and on-location shoots. 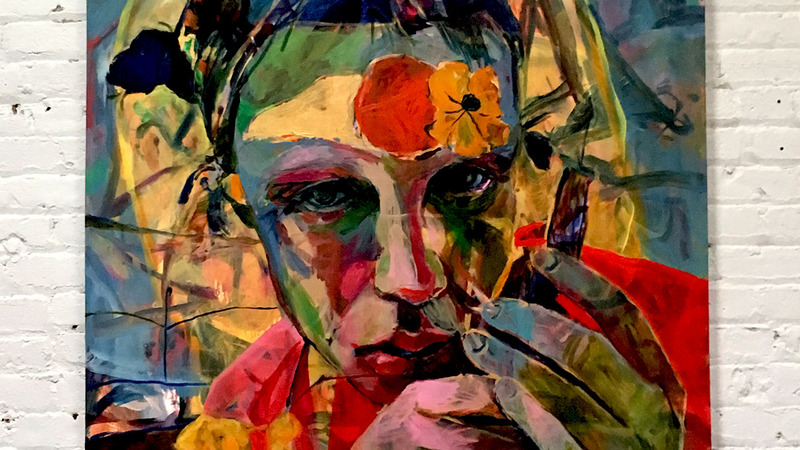 The team can assist with everything from conceptual development, art direction, and equipment consultations all the way through to the final execution. When would you like to stop by? We'll do our best to accommodate based on availability.